Not enough to go round! 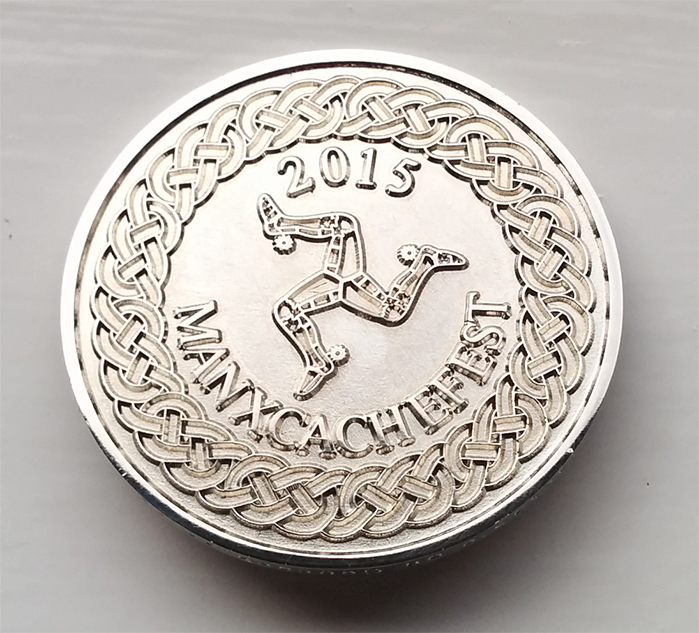 With only 2 days to go before the start of the ManxCacheFest we are pleased to announce that the number of attendees has surpassed our predictions and unfortunately not everyone attending will have the chance to own a commemorative geocoin. Either – reserve one online at the Manxgeocaching shop and take the delivery option to ‘Collect at the ManxCacheFest’. Or – collect yours at the Welcome event at the Sea Terminal 2- 6:30 p.m. on Saturday 15th. August. Splash Mob – A message from the event organiser.